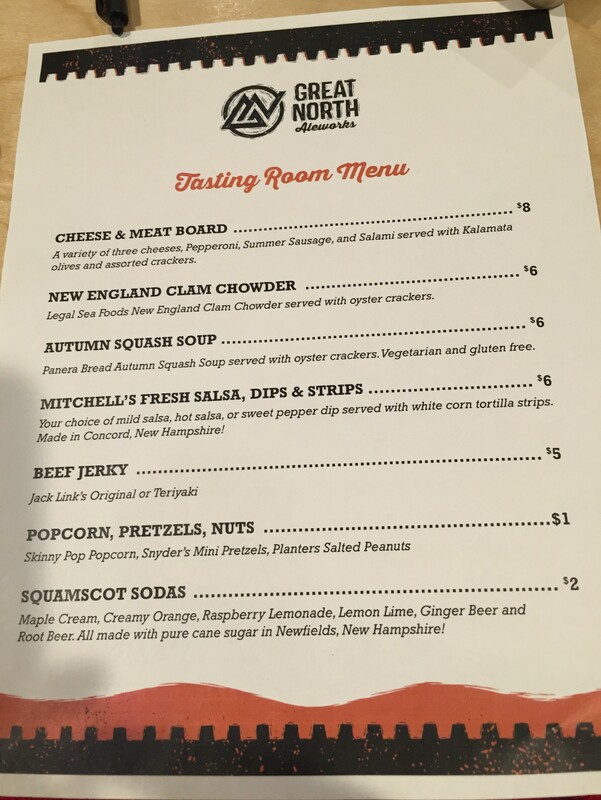 Great North Aleworks, Manchester, NH – Breweries, Wineries and the fun in between! 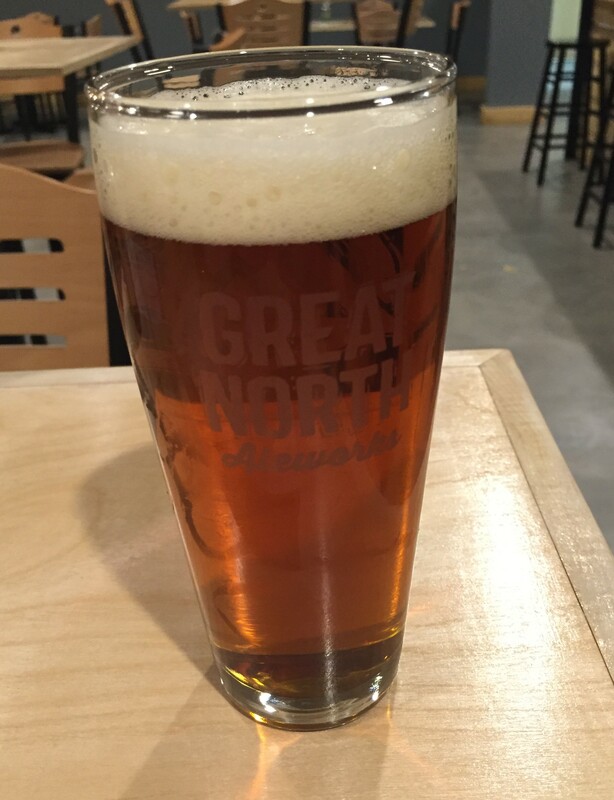 We visited Great North Aleworks just before Christmas. 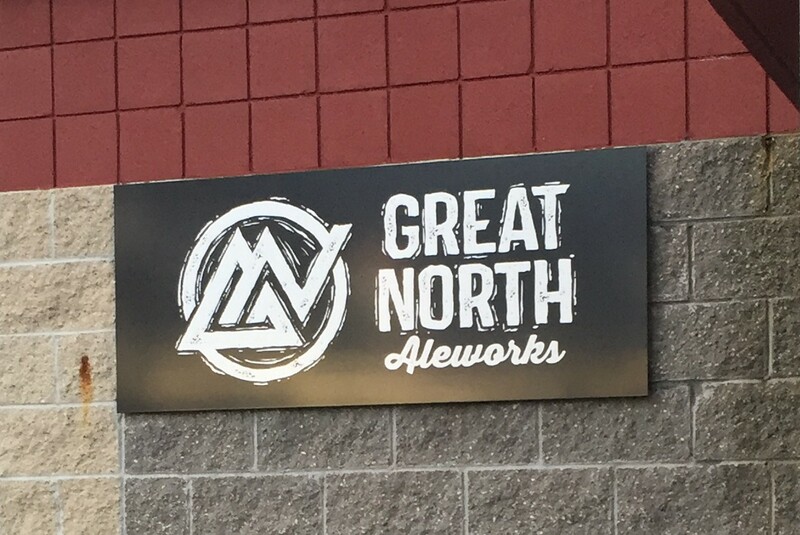 Great North Aleworks is a 20 barrel production brewery in Manchester, NH. They just opened in August of 2015, so they are still pretty new. 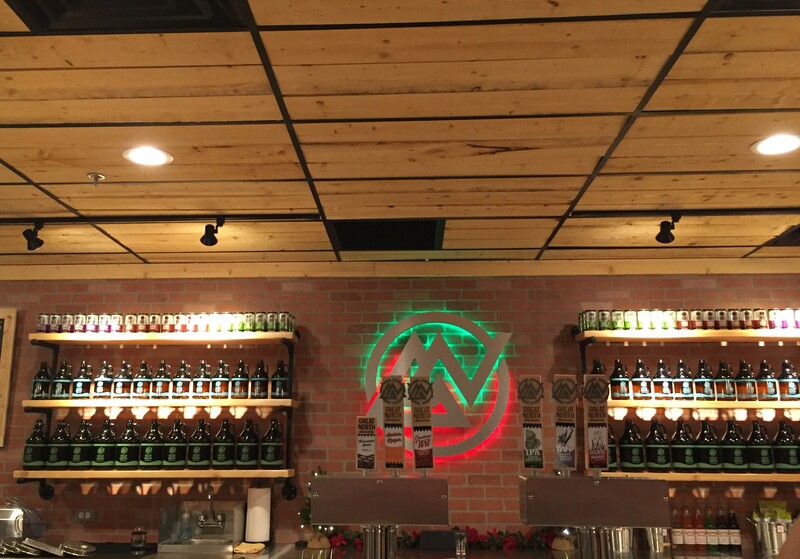 Founded by Rob and Lisa North, the brewery’s goal is simple – to craft flavorful, food friendly beers, while maintaining a fanatical devotion to quality. We visited with our friend Ian, who had tasted some of their beer previous to our visit. We had not had any Great North previously, although we had seen their cans at our local beer store. 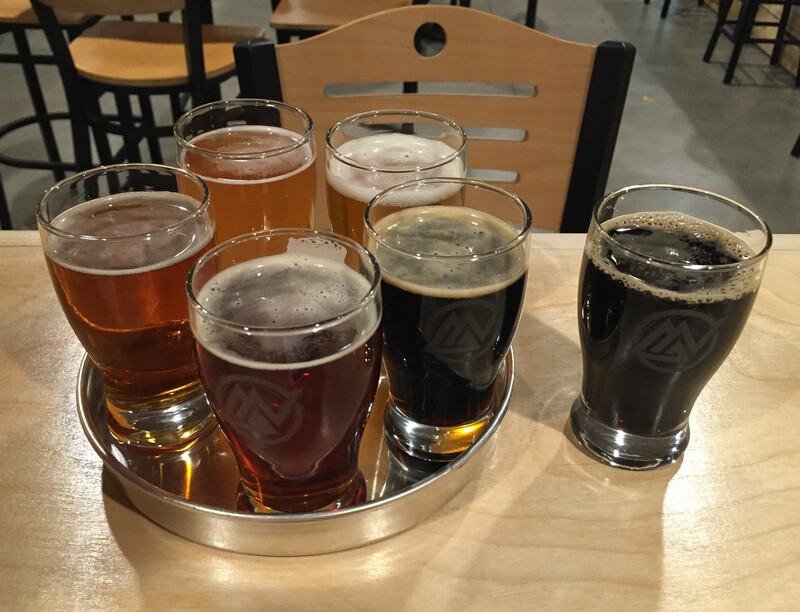 Ian got a sampler tray, 5 samples for $7.50 and we got a sampler tray plus 1 single sample, so we could try all 6 beers. nice presentation of the sampler. Good size as well! This is made with New England grown cranberries. A light beer in body and style, with a light cranberry taste and a hint of tartness. 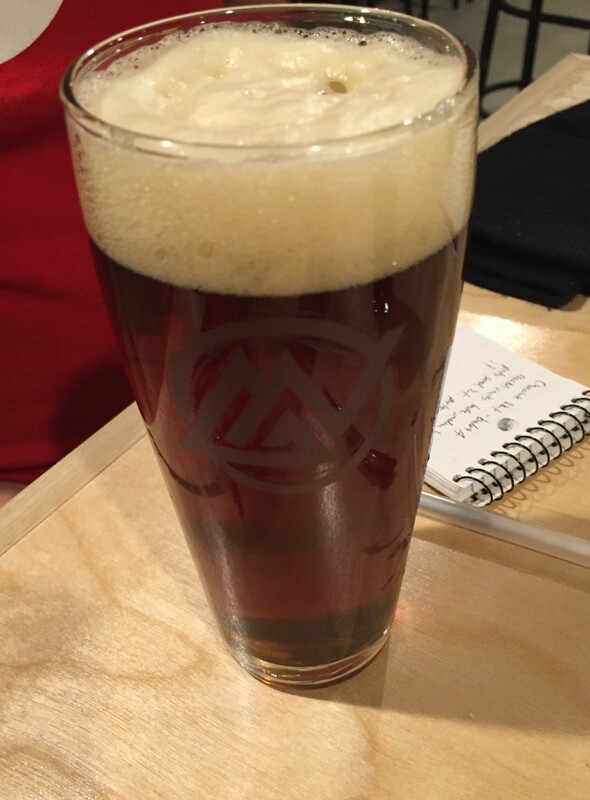 We would have liked a little more cranberry flavor and a little more tartness, but it was a good light wit beer. A very solid IPA, hoppy, tasty, not very bitter, made as a ‘west coast style ipa’. A good, hoppy, well balanced IPA. Mark got a six pack of cans to go, and will be picking this up at the local beer store in the near future. Chocolatey with some roasted malt flavor, very tasty. It is described as having coffee and chocolate flavors, and it actually does! 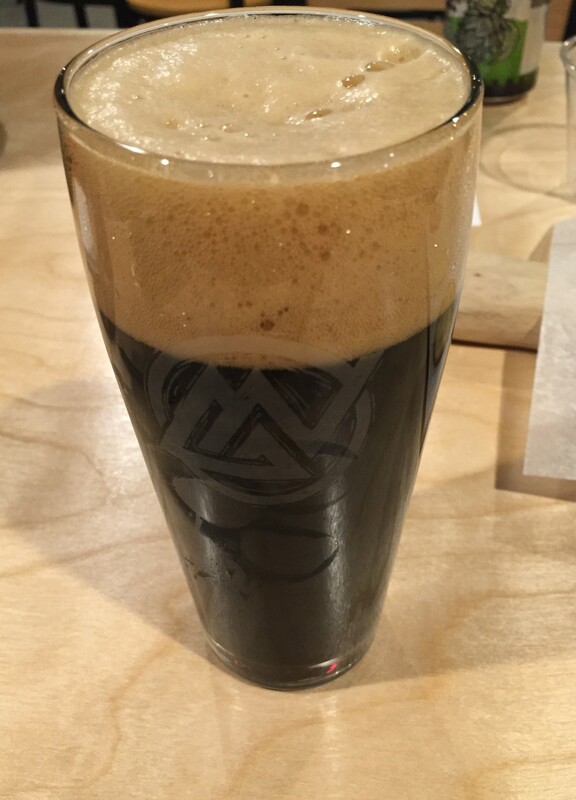 Megan thought it was delicious, one of the best porters she has had recently, as it had a full flavor. We got a 6 pack of this to go as well. Good balance of smokeyness and malt, smokey flavor is not overpowering. This is one of their 3 flagship beers, which is an interesting choice, but they are confident because it’s a good beer. A hint of sweetness, a good amber that stands out. Many amber beers we have had kind of just are there. This one was good! Roasted, smokey taste, medium body, pretty good Stout, but the Porter overshadows it. This was a test batch, they had several batches the weeks previous and were having guests vote on which batch they liked better. 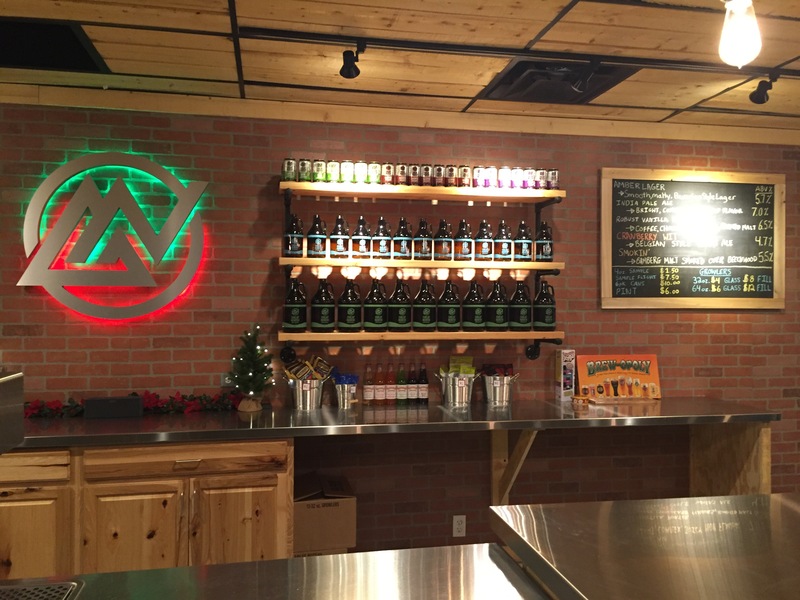 We can’t wait to see what stout they choose as their go-to recipe! Mark got a pint of the Smokin Rauchbier. 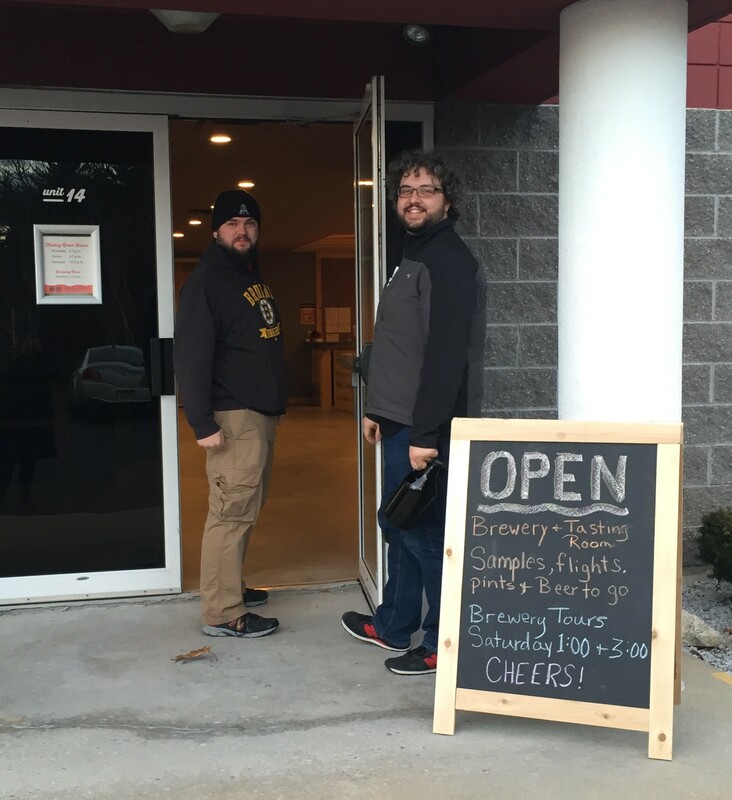 He liked it, and wanted another taste, knowing we were buying the IPA and Vanilla Smoked Porter anyway. Megan got the Vanilla Smoked Porter, that was her favorite. Ian got a pint of the Amber, the IPA and the Amber were his favorite. They do serve food, so they can serve pints. 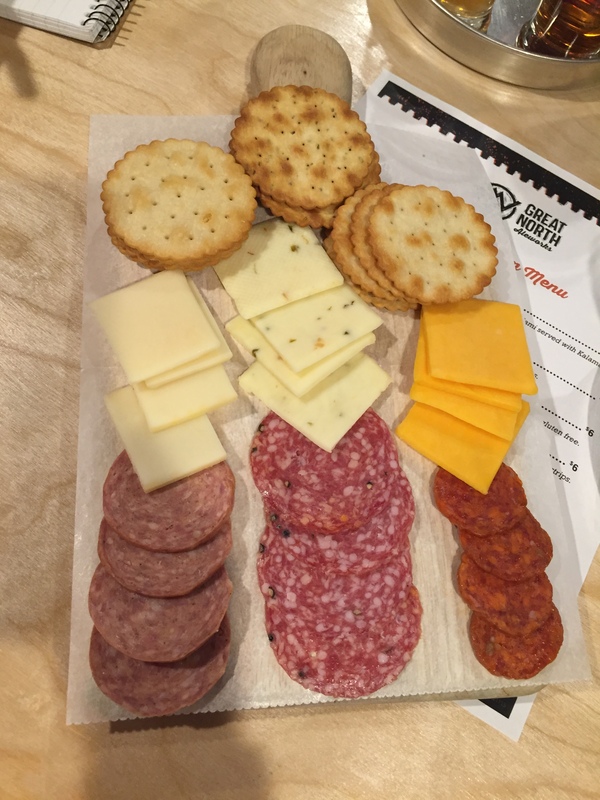 We go the Cheese and Meat platter, which was pretty good. The cheese and sausage on the platter was a great selection, and Megan would recommend ordering one while you sit and enjoy a pint. They also serve pretzels, soup, salsa, jerky. 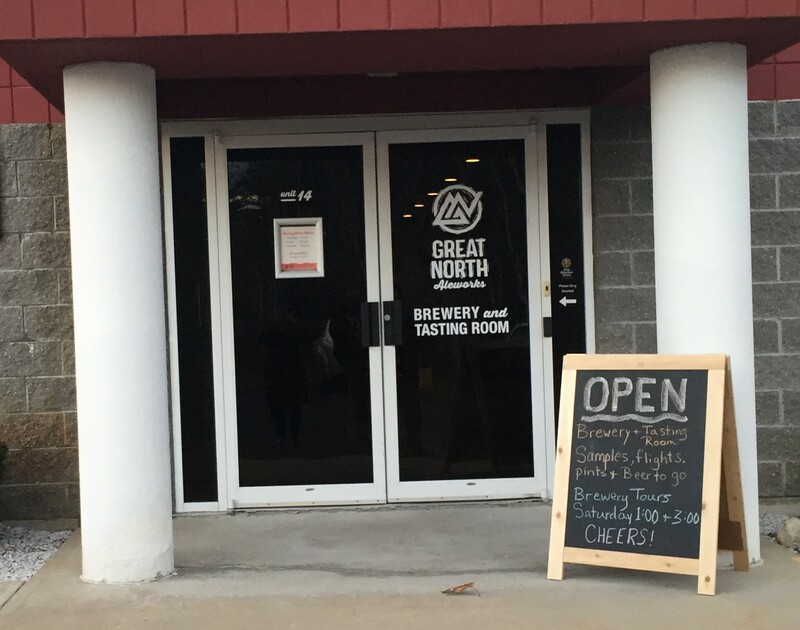 The tasting room was pretty big, especially for a new brewery. They have some extra space in there as well. 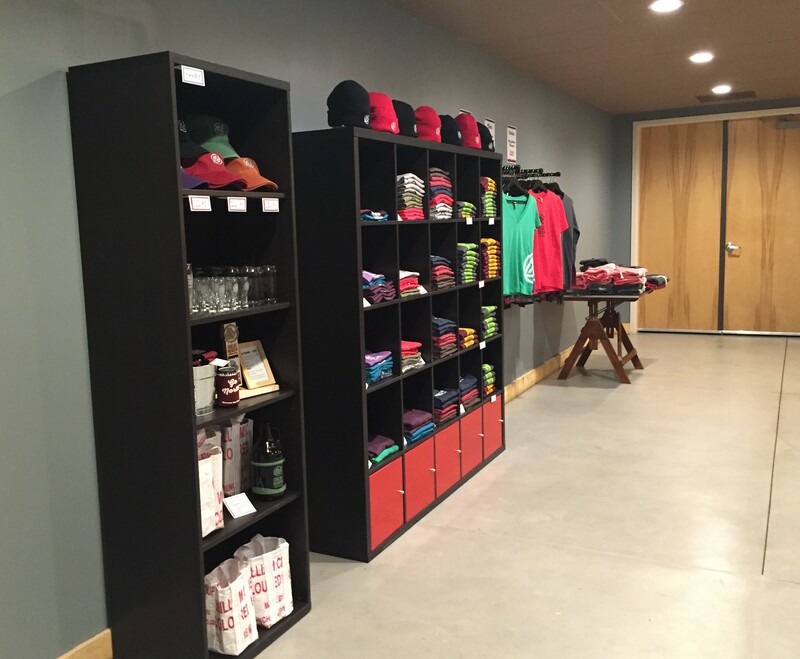 It wasn’t too busy when we were there, but they have plenty of room to expand and grow in this space. The service was good, they came over to the table to see how we liked the beers, and it was the owner and brewer we were talking to. We talked about the beers we liked. 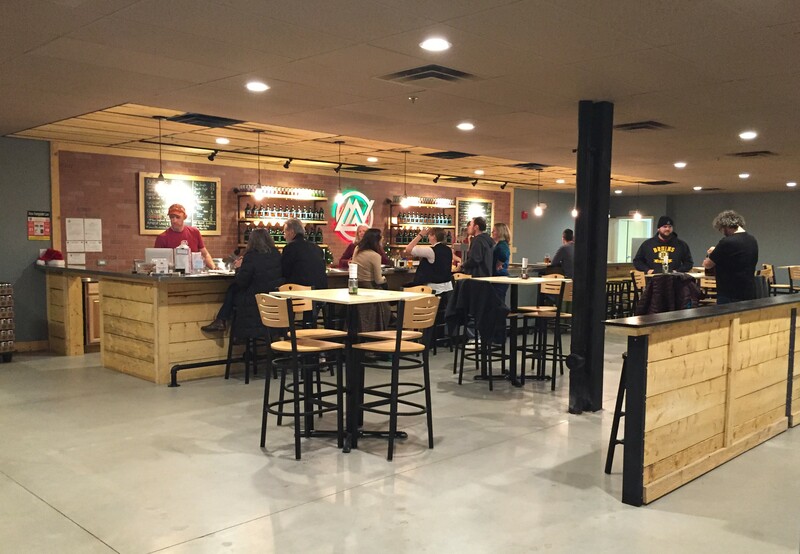 It’s nice to be able to chat with an owner or brewer. We recommend going for a visit, and bringing friends with you. There is space to hang out and enjoy yourselves! We were also happy about the fact that they can their beers. Mark had seen the cans in the store, but wanted to wait until we visited to try. 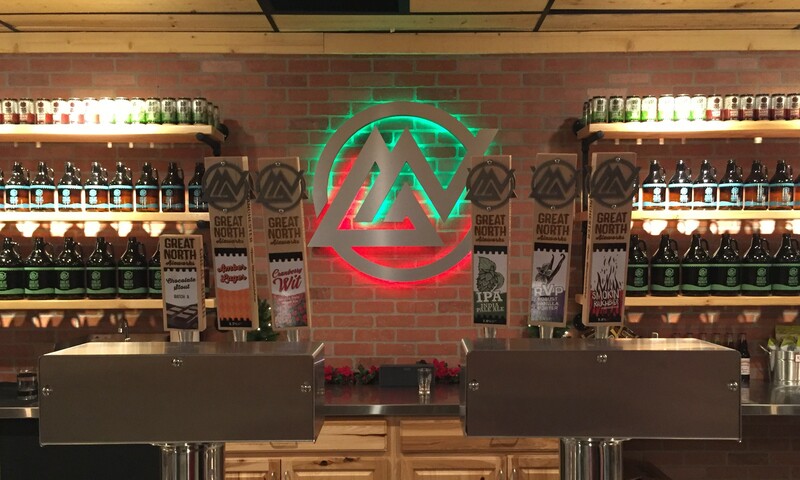 It’s and extra expense for a new brewery, but its a way to get your beer out there, and we have enough growlers we don’t use, we don’t need another one. 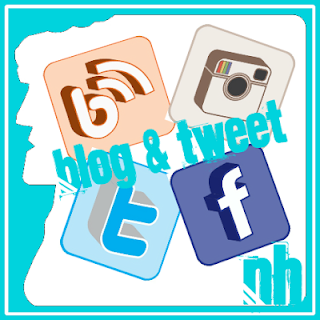 As always, check their Facebook page for updated hours and info.